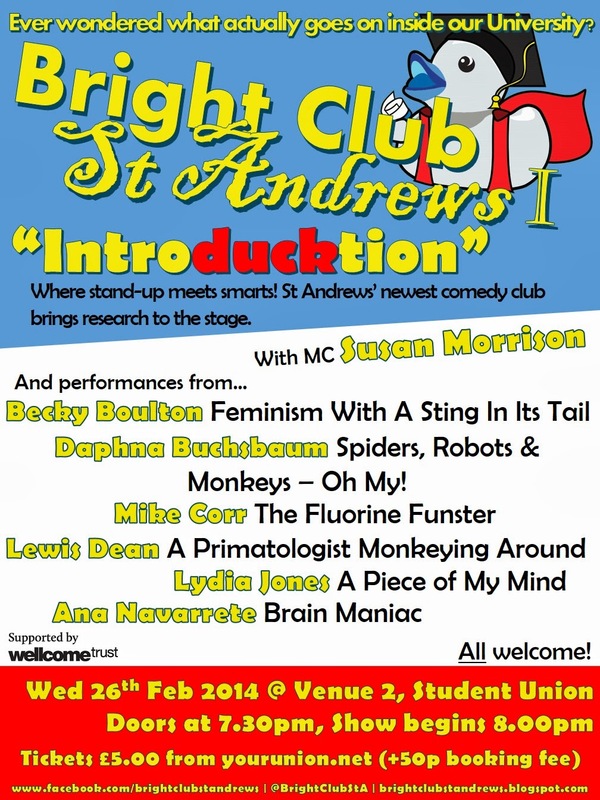 Bright Club St Andrews: First Show! Our first show will be on Wednesday 26th February 2014 in Venue 2 on the top floor of the Students Association Building on Market Street. Doors open at 19:30 for a 20:00 start. Tickets are £5 (+50p booking fee) and can be bought here. Both students and non-students can create an account to buy tickets.